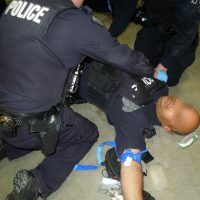 “An evidence-based course teaching life-saving techniques and strategies for providing the best of trauma care"
Traditionally, the medical role of sworn officers has been to stabilize or neutralize a crisis injury scene so it’s safe enough for EMS to enter. Recent tragedies have caused a growing shift in community expectations as police officers are usually the first and only responders to security incidents. 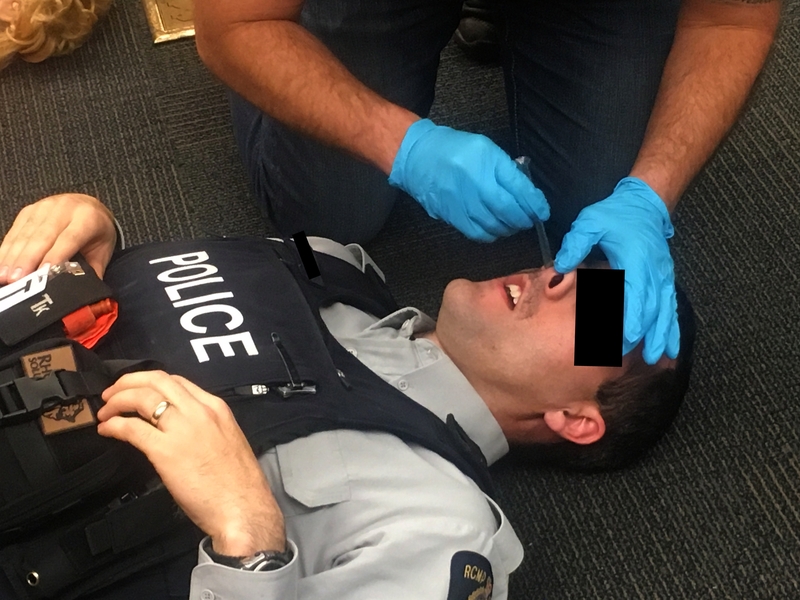 Simply based upon the nature of their duties, a significant percentage of officers’ medical-related encounters involve potentially life-threatening trauma, such as severe accident injuries or gunshot wounds to the head, torso, and/or extremities. More often than not, the casualty happens be a colleague or the officers themselves. 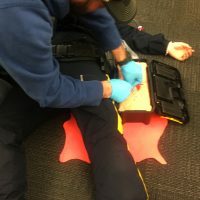 Since police officers arrive ahead of EMS some 70% of the time when both are dispatched, the public now expects officers to “do something” immediately to help injured or wounded parties until professional medical aid is on scene. These officers may not be quite sure what that “something” should be, but reliable statics state that at least 100 times a day police in the US find themselves in such a position. 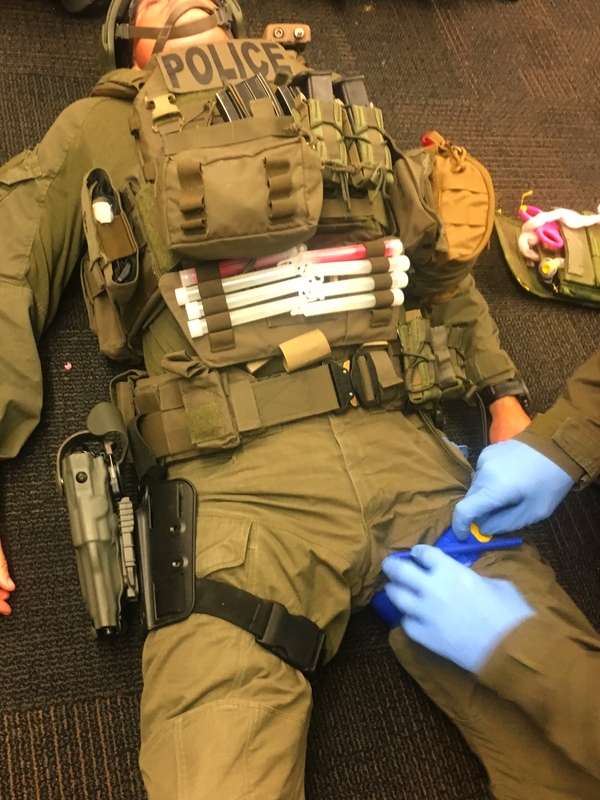 Training: The vast majority of officers recognizes their lack of medical skills and desires specific training in tactical medicine that's been adapted to today’s threats. 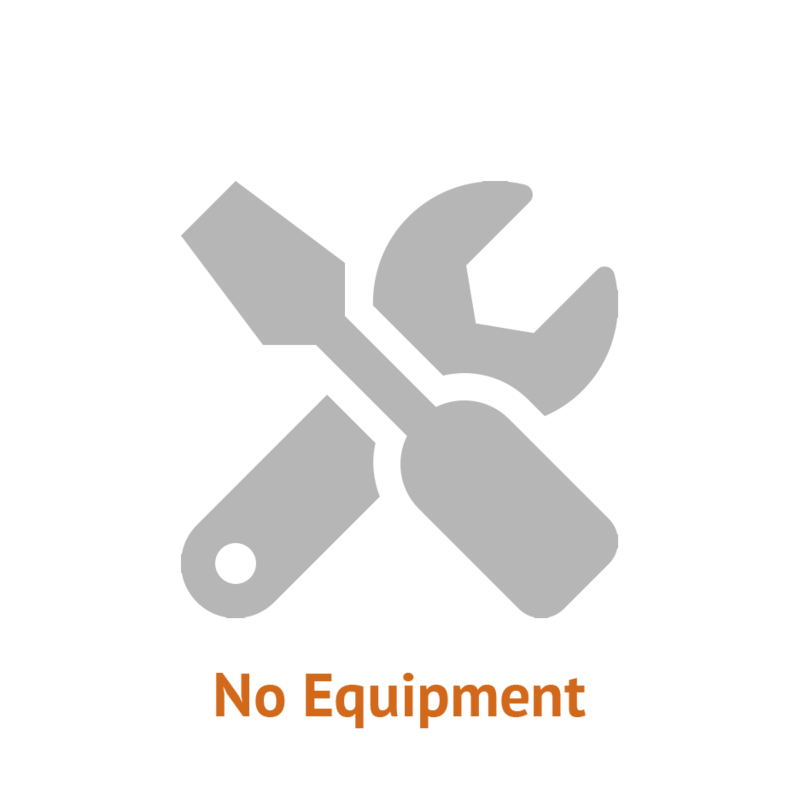 However, costs and time constraints are restricting training opportunities. 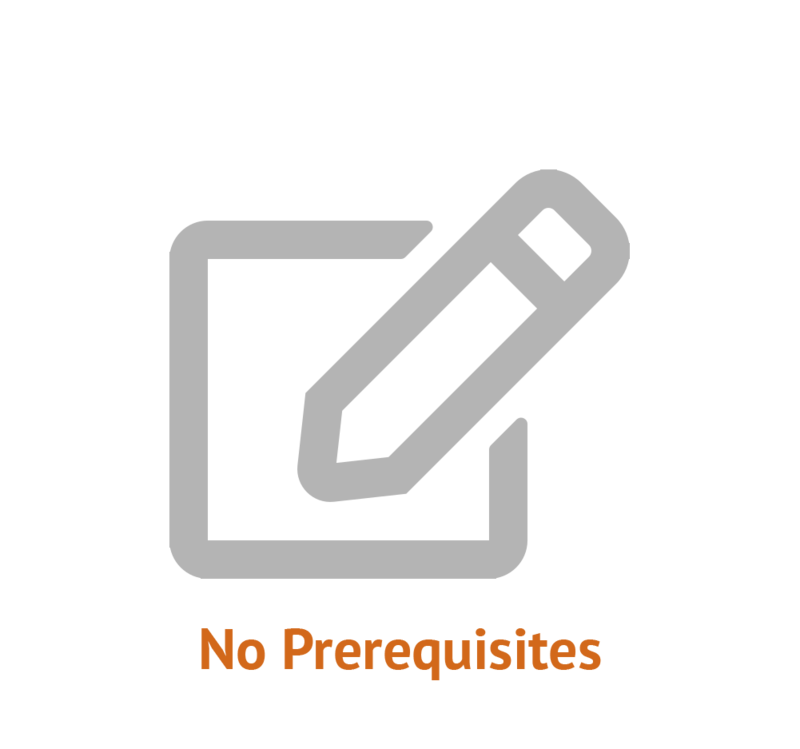 Qualified instructors with relevant experience are few and widely scattered, and officers need to be sent to costly training facilities taking them away from duty for days. 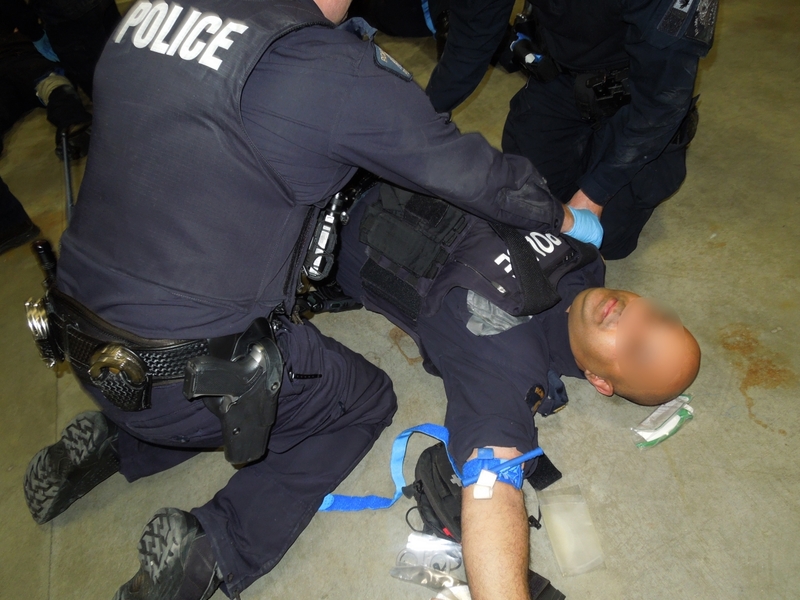 Commonly, officers not affiliated with tactical teams are only trained in CPR (Cardiopulmonary Resuscitation) and basic bleeding control, making them legally prepared, but that doesn’t mean it’s an acceptable ethical standard. Some even question the utility of CPR given the number of police responses to trauma incidents versus cardiac arrest. 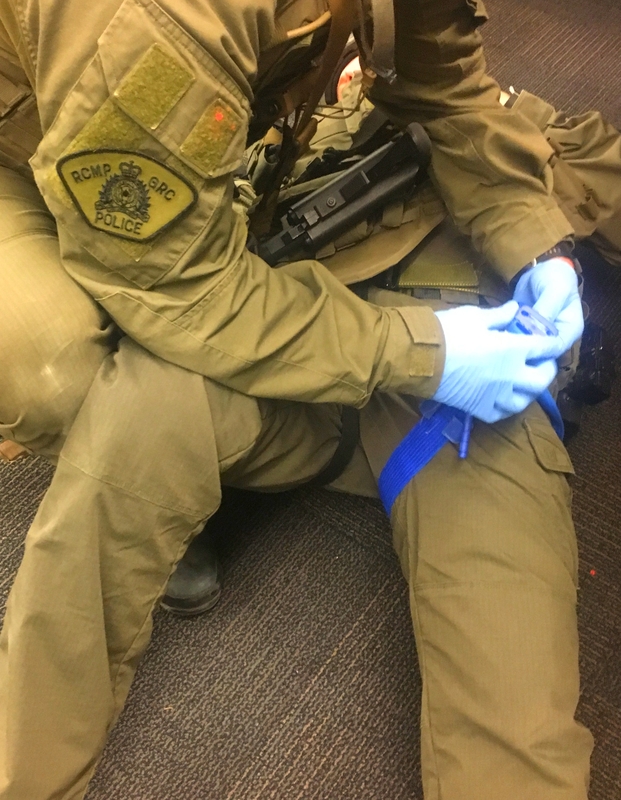 Equipment: Quite often law enforcement officers are issued relatively adequate first aid gear (IFAK) but aren't given proper instruction on its use, making them exposed to serious legal and ethical consequences, nullifying the benefit of the equipment as they are reluctant to use it. What is “The Critical Gap”? 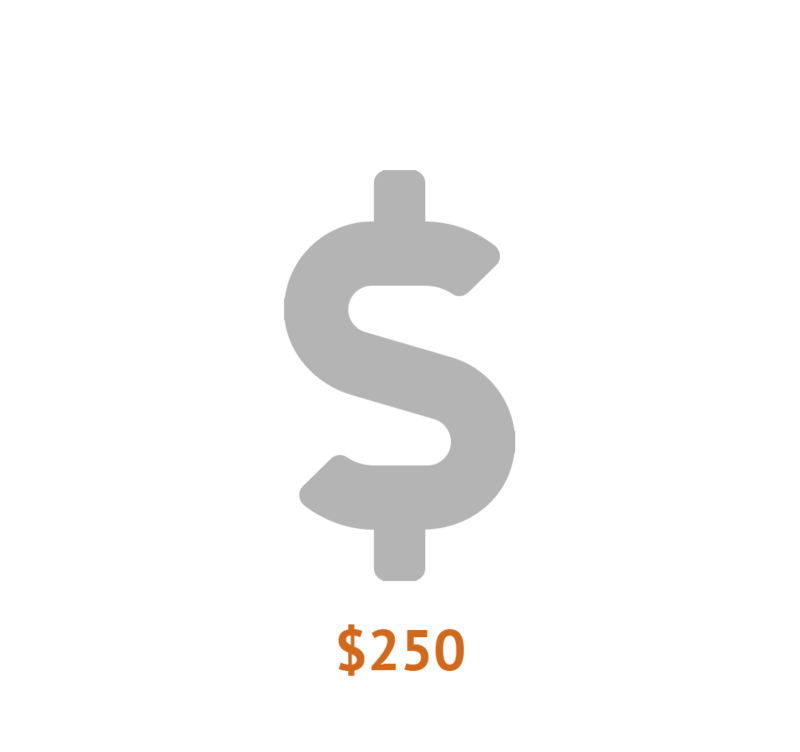 Studies have shown 25% of all critical incident deaths are preventable. 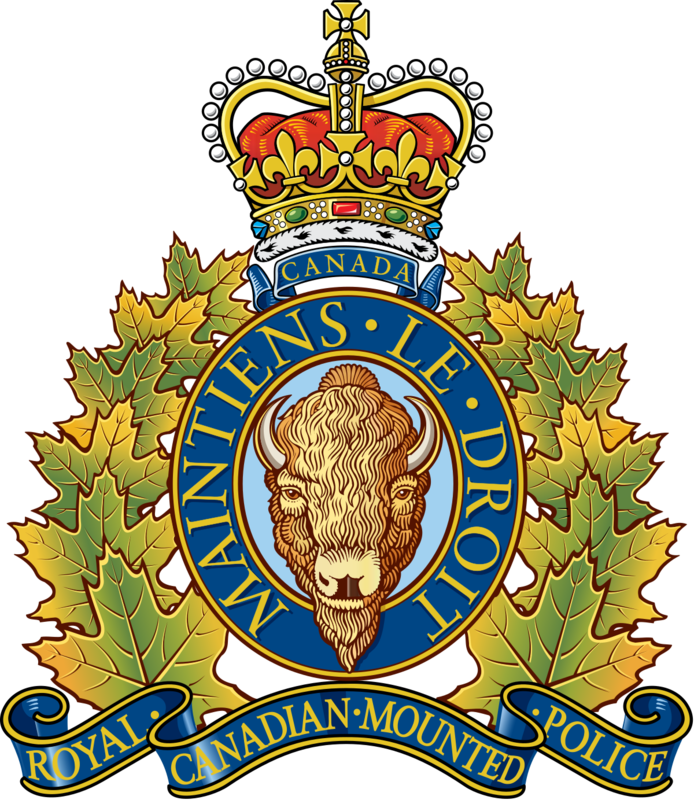 Almost 95% of victims will die before reaching a medical facility making police officers, bystanders and witnesses a decisive part of upping the survival rates. First responders will save one quarter of all critical incident casualties with the proper mindset and training (“The Critical Gap” ™) and the appropriate equipment (IFAK). Furthermore, law enforcement agencies, public officials, and anybody who must deal with the general public have a duty of care. The public and media assume these people have a certain level of training and preparation, and expect them to be ready and able to save lives, including their own, when paramedics are minutes away. As the recent events have shown, public transportation, schools, concerts venues, sport events, can all become a battlefield filled with combat related casualties. Our first of the first responders must be ready to face these types of scenarios. Who uses Tactical first aid course? US Special Forces units were the first to implement Tactical first aid courses. After outstanding results (25% reduction of KIA), all modern military forces developed their program based on the TCCC committee principles. All United Nations personnel deployed in non-permissive areas must take a tactical medical course. With the influx of combat veterans in the US law enforcement agencies, TCCC is now a mandatory training in most departments. 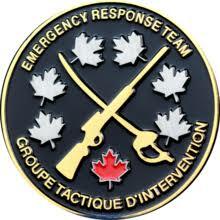 In Canada, RCMP ERT members are usually qualified TCCC and a very basic trauma course (BTEC) is being rolled out for regular members. 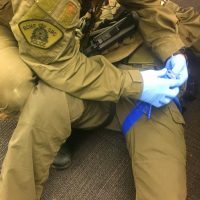 We expect some kind of similar training and equipment will be made mandatory in the next future to all public facilities (Hartford Consensus & “Stop the Bleed” foundation). 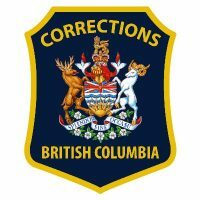 Why not a full TCCC course for police officers? Having trained hundreds of soldiers in Tactical Care of Combat Casualties we simply don’t believe it is the best investment for police officers. TCCC courses are typically developed for soldiers in combat zone, in contact, under enemy fire. TCCC is based around three phases: care under fire, tactical field care and tactical evacuation care. Care under fire involves mostly small unit tactics and fire superiority while tactical evacuation care is about long term care and evacuation. 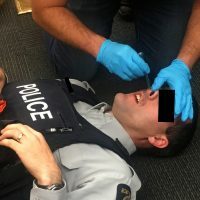 What really matter to a police officer are the couple minutes between the incident and the arrival of an ambulance, the tactical field care, the “Critical Gap”. 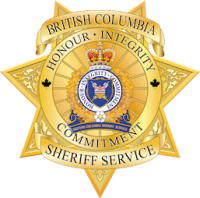 In The Critical Gap course, we concentrate on the field care but we include important notions like scene safety, triage process and reporting making that course completely relevant to law enforcement applications. 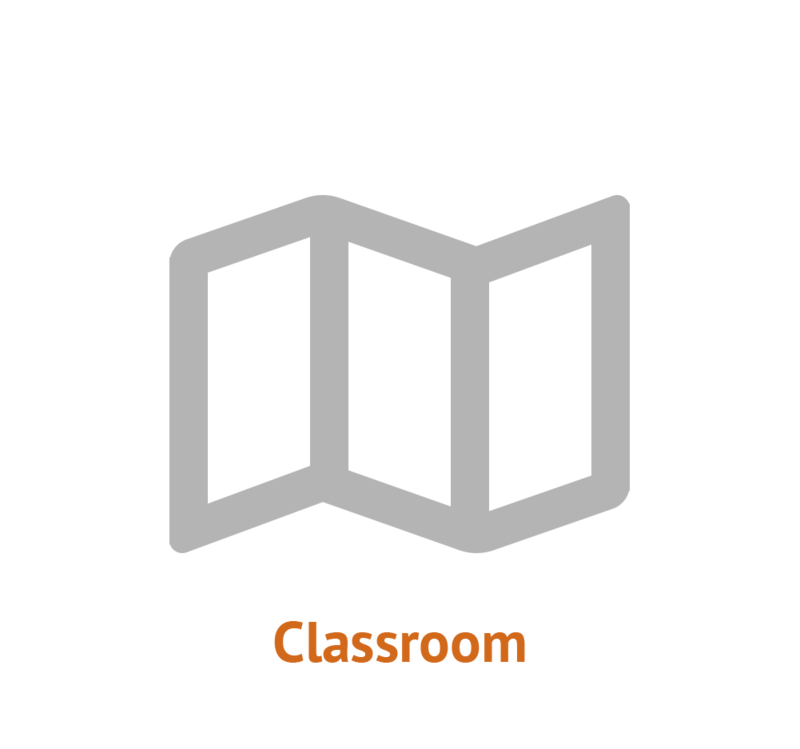 What are you learning in “The Critical Gap”? What are the different versions of “The Critical Gap”? Military, Protection Security Details, Security contractors, ERT and SWAT also called Battlefield Medicine, with emphasis on the tactical aspect. 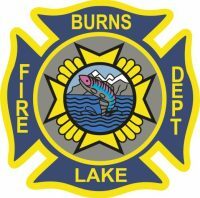 Law enforcement and first responders options: GD, OPS-K9 (includes OpsK9 first aid), EOD (includes “Blast injuries” module), Sheriff, Corrections, Conservation officers, paramedics and firefighters. 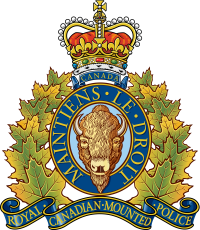 General public: from teenagers to seniors, when tactical considerations aren’t an issue. How do we teach The Critical Gap? 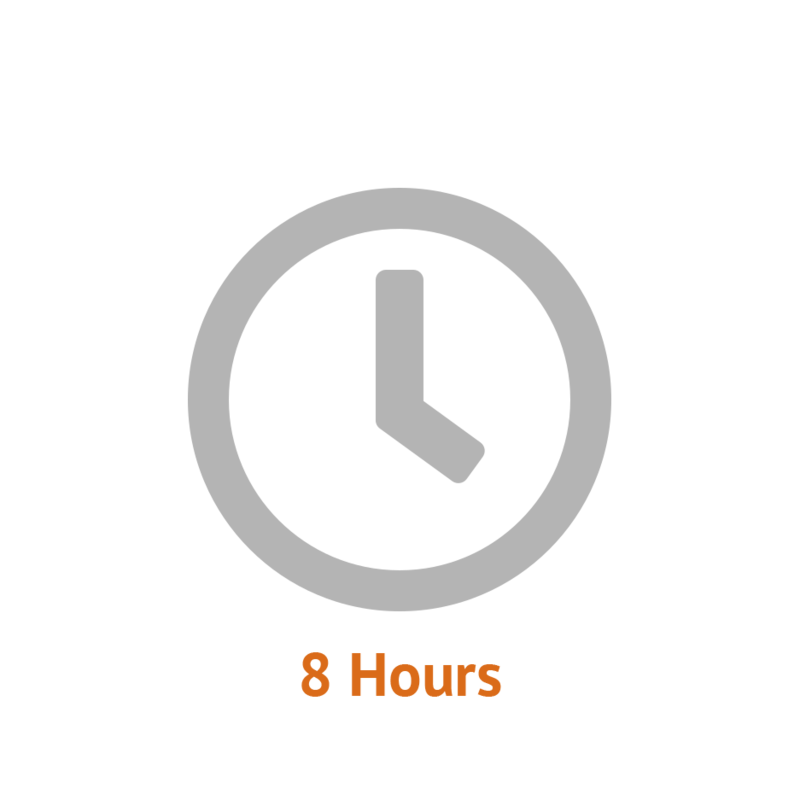 The Critical Gap is an 8 hours classroom course, complete with numerous exercises and scenarios. 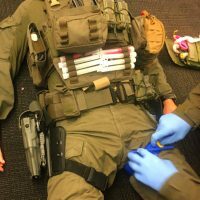 Students will learn about and apply a preponderance of hands-on practice applying tourniquets, hemostatic dressings, chest seals, as well as learn about other relevant treatment equipment and procedures, starting with self-aid and building up to the handling of more complex life-threatening situations. 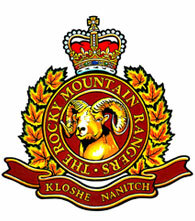 On request, this course can be taught on a shooting range and add element of “Force on force” or weapons manipulations. As a front line responder, I found this course of great use. My section routinely handles investigations where gangs and guns are commonplace and I consider us to be at risk, like all police officers, of being in a gun fight at some point in our careers. This course taught practical wound treatment for a gunshot wound situation. I think all front line members should have the training and equipment (should be mandatory training). Far too often we arrive at calls by ourselves or go to calls by ourselves and having the skills and equipment to save our own lives or someone else's is paramount. 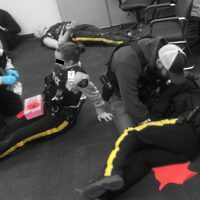 There's been a big push in the RCMP to get everyone trained on Carbines and making sure all the cars have Hard Body Armour, but our first aid training is poor at best. Our members should be given the training and equipment to deal with the entire situation we expect them to go into which includes medical/saving our own lives and the public. I think this is a skill that should be discussed and taught at a much earlier time in one’s career, given the increased chances of survival it gives a member who has these skills. Also, we unfortunately see new events unfolding every day in our environment which highlight the chances that I may someday need to use this skill. This one was very 'real'. Other first aid courses teach you the basics and the scenarios are never realistic. This one made you walk into the role plays having no idea what to expect. We were expected to be able to gather information and make a decision on the spot... and sometimes that decision was to leave the person and move on to someone else were could save. Nick has a high level of knowledge, with examples that bring the course closer to reality and allow for the course to be interesting and effective. He was able to provide a lot of knowledge in a very short time, using a lot of examples rather than power points which I believe to be important in this type of learning.